Earlier this month Adelaide Zoo said goodbye to Miss C, the oldest known Hoffmann’s Two-toed Sloth in the world. She was also the last sloth in Australia. It had been my plan to go through our old photo directories in order to put some of the older photos into storage, taking out the better shots for posting on Fridays here, for the rest of this year. I was planning on working on it, soon. 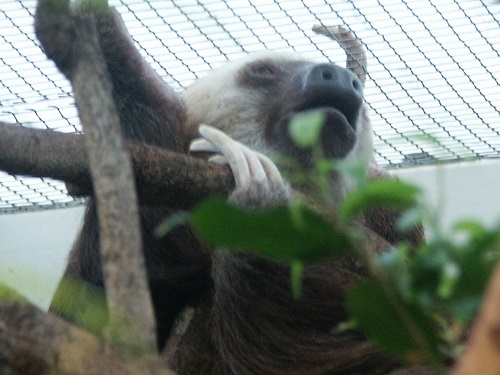 But then Hailey from Discourse of a Divine Diva went to meet some sloths, and she mentioned Miss C passing, and I thought if I set myself a time limit maybe I would Get Some Photo Viewing Done. And I did! I still have a lot of directories to go, and Miss C was not the most photogenic of zoo animals. I have found these shots, thus far. As zoo members, we could drop into the zoo for a short visit or a long visit, show our membership card, and go in for “free” – you pay a yearly fee which is some very low amount of money in my opinion. So whenever we got there, we could choose – which way will we like to go today, which animals do we want to visit. There were times we went for the whole day and walked the entire zoo and took a lot of photos, and there were times when we dropped in first thing for a half hour to check on the new lion cubs or to see a specific animal. Accident of birth – the SCARY country. How Do You Entertain A Lion? The reciprocal rights to other zoos can make membership well worth people’s while, but you do have to use it. When we lived in San Diego, very near our favorite zoo, we immediately became members and kept upping our membership over the 5 years we lived there. The best money we ever spent. We now live in a small city, Fuengirola, with a surprisingly world-class zoo, Bioparc Fuengirola. We couldn’t wait to join up and I now will walk over whenever I need a little uplift. 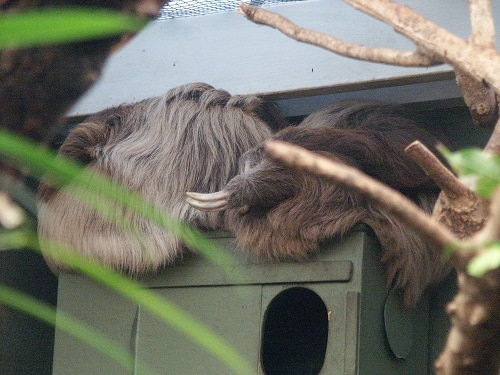 I love the sloths — perezosos in Spanish! If I was more of a zoo going person I’d be a member, but I rarely go. I walk the entire zoo each time, and usually at the wrong time when most of the animals I want to see are asleep. I was lucky enough to see the lions feeding time a few years ago and before that I got good photos of the older Flamingo a few months before he died. That is where membership can really be of use, River. We got offered opportunities as a member and also as a volunteer which would not have happened otherwise. For example I recall members got to go on an early morning behind the scenes tour I think once a year, there are other unique tours offered in the zoo magazine some of which there was a small cost, others were free, and once we became a part of zoo watch we got to stay overnight in the zoo – at a time when you could not do that at all otherwise – watching a new animal settle in to their enclosure. As tour guides we got to tour people at events like weddings etc which were often held after the zoo closed and especially in summer that was very special as we got to see the animals at times we otherwise would not. And best of all was the training for the tour guides which went for several weeks and we got to know so many of the staff and ask all those questions which rarely I would get to ask. One of my brothers volunteers at our local zoo. He works hard, but the benefits are huge. 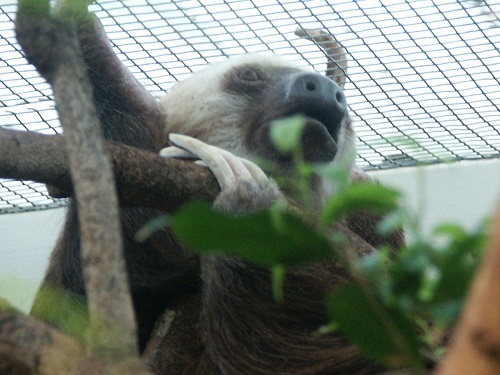 I really enjoyed your sloth photos – thank you.